Backstory: I travel, a lot. I arrived on a Monday afternoon to Charles de Gaulle Airport. I got settled into my hotel and found I had an email invitation to an event in Dubai. I looked at the calendar, I had a few days to get to Dubai for the event (Sign up to our newsletter to see what events we go to each week) so I booked a ticket. I had thought I would have at least a week in Paris, but it turns out I only had 48 hours. I decided to make the most out of the little time I had. What do you do in Paris for 48 hours? You make sure to see the one of a kind museum exhibits, of course. On this months roster? Dior at Musee des arts decoratifs on Rue Rivoli, celebrating the 70th anniversary of the House of Dior. This lavish and comprehensive exhibition invites visitors on a voyage of discovery through the world of the House of Dior’s founder and the couturiers who succeeded him: Yves Saint Laurent, Marc Bohan, Gianfranco Ferre, John Galliano, Raf Simons, and most recently, Maria Grazia Chiuri. I made my way to the museum with a stop for coffee and a strawberry macaron and allowed myself complete immersion into the realm of Dior. Dior has always had a special place in my heart. 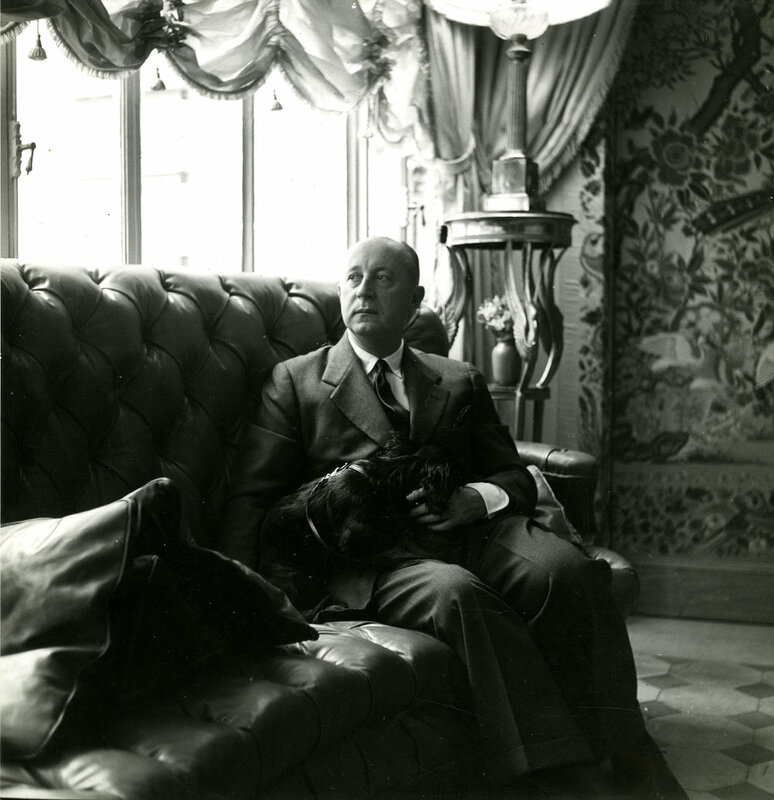 Christian Dior was the first designer I was exposed to. At age ten my mother brought home a movie called “Mrs. ‘Arris goes to Paris”. If you haven’t had the wholesome pleasure of seeing the movie before let me tell you about it. Mrs. Harris is a maid to a Lord and Lady in London. One day she goes to fetch something for her Ladyship in her Lady’s closet where the Dior dress is hanging prominently. She vows to save every penny she earns so she can one day own a dress made with such beautiful craftsmanship. She saves and saves for a dress she will never be able to wear anywhere. Her friend thinks she’s mad as she cuts out every little luxury a maid can afford to have. But one day, out of sheer determination, she makes it to Paris. She is unaware of the workings of an atelier and that she cannot just walk up to the Dior shop, pick a dress, and go home the same day. There are some twists and turns, but she garners friends in the hierarchy, and somehow everything works out, and she goes home with the most beautiful pink satin dress I had ever seen. 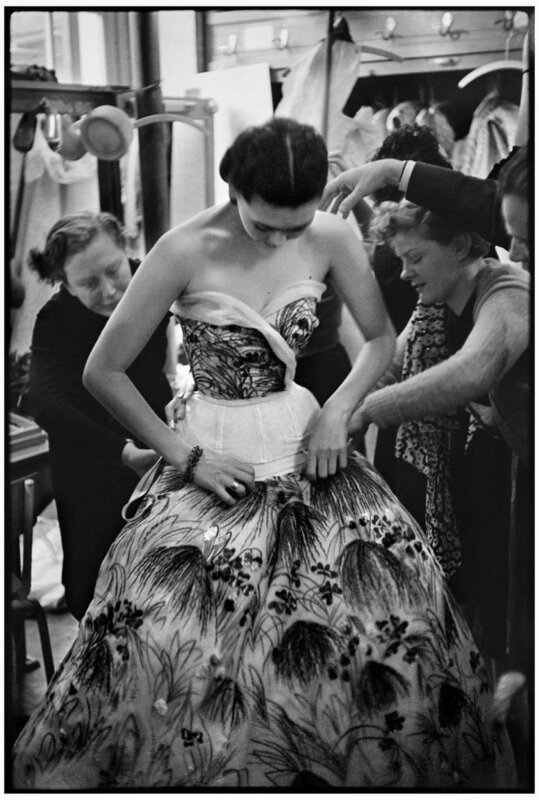 Mrs. Harris went home with a Dior dress, and it made me believe I too would one day own something so beautiful. Going to this exhibit was a no-brainer for me. I walked in and allowed myself to be enveloped in the world of Dior. The first section of the exhibit is known as The Colorama. The Colorama illustrates the dream the couturier nurtured right from the start: to dress a woman in Christian Dior from head to toe. A visionary who anticipated the future development of the luxury and fashion industry, he insisted that everything, from hats to shoes, jewelry to bags, and perfume to makeup, had to play its part in creating a meticulous elegance. 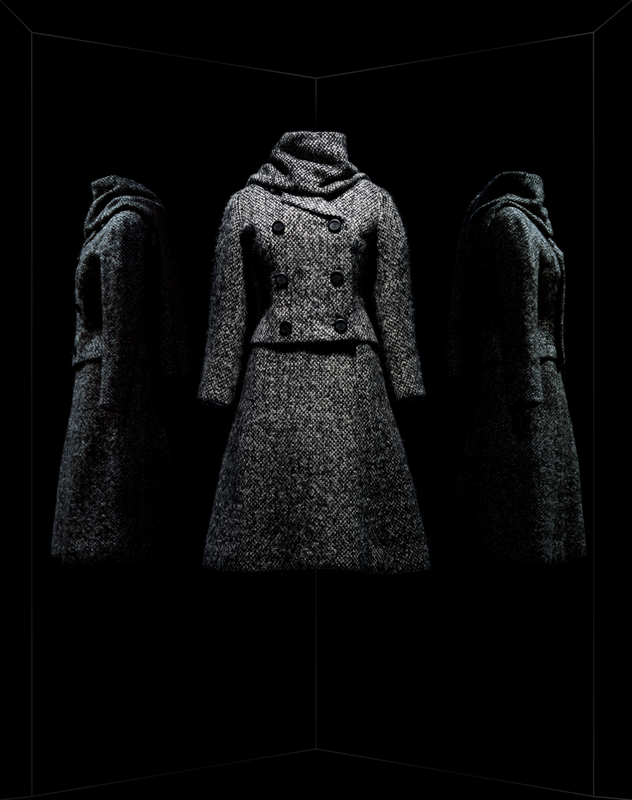 The Panorama of objects demonstrates the enduring nature of Dior’s overarching vision of fashion. Presented as a rainbow, they showcase the House of Dior’s core color palette. It includes pink, the color of happiness and femininity,” and gray, “the most convenient and elegant neutral color,” reminding Dior of the façade of his childhood home. Dior described “Dior red,” the color that best symbolizes his Trafalgar effects,” and the color that “dresses women’s smiles.” As for black, he considered it to be the most elegant of colors and said he could write an entire book about it. The exhibit runs through January 7th. If you have time to see it before it closes forever, I urge you to go. It was an amazing experience. The dresses are gorgeous, the man was talented beyond belief, and you never know what this kind of inspiration will do to you. If you missed the exhibit; I hope you enjoy the amazing pictures displayed here, courtesy of the Musee des arts decoratifs.